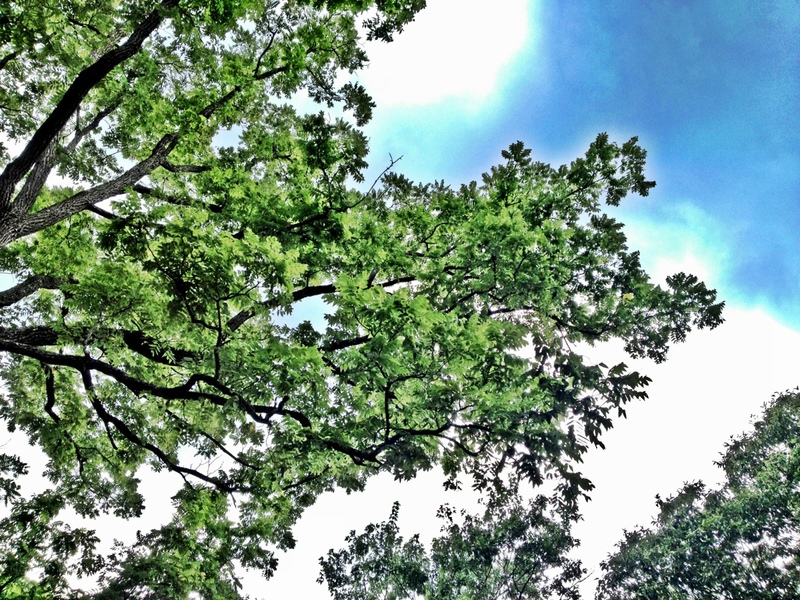 View from my hut, looking up. On a steamy afternoon in mid July, the rumbling overhead in the blue-gray sky… I’m sitting in my hut, speaking into the phone and this is what you get. Sweet Little Anita (Lorraine) Kinney from Alamance Country, North Carolina! Recently I have been singing a song from my School Boy days, Yankee Doodle Dandy. I have often been puzzled by the use of the word “Macaroni” in the first verse of the song, and even more often, still, as of late, I’ve been confusing “Macaroni” with “Cotton Candy” which could have to do with the phrase in the last line of the Chorus, “and with the Girls be handy” That always made me want to be handy, with the Girls at least, and why not? What a Jolly Good Chap old Yankee Doodle must’ve been. It had come to my attention recently after reading about it on the Internet, that there was a Wig of the Day, the height of Fashion gone overboard, known as the “Macaroni” Wig. It seems that the British Troops, who at the time of the French and Indian War, served along side the Colonial Troops, thought the “Yankees” were a rather Vagabond Band and that they were so provincial as to believe that by merely sticking a feather in their Caps, they would be able to call it “Macaroni”, a garish fashion, similar to the Glam-Rock Style of the mid-Nineteen Eighties.